Let’s explore Noodle-less Lasagna. It’s still cool out and these delicious casseroles will fill you up in a good way. I found a good recipe that uses eggplant and zucchini. But you don’t have to stop there. But first, watch the video to see how easy it is. You can get the full recipe at Eating Well. I remember the first time I had zucchini lasagna back in 1987. I wished all lasagnas were made that way. It tasted so much fresher than with pasta. But I can also see family grumbling. So feel free to make this as a compromise. 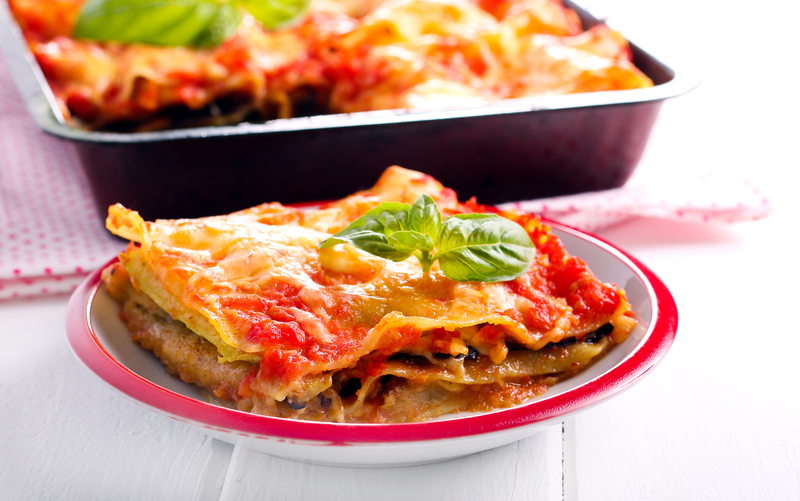 Maybe you can use lasagna noodles for one of the layers. Also, feel free to swap in ground turkey that’s seasoned like Italian sausage. Some people also prefer ground chicken. And of course, there’s always ground beef and ground lamb. Just cook it thoroughly and drain off the excess fat. You do keep a fat jar by your stove, don’t you? You could also swap out some of the meat for chopped mushrooms. They have a lovely toothiness and absorb the other flavors. Also, I love adding some spinach. I also love straining plain Greek yogurt and using that in place of ricotta. It’s higher protein and you honestly can’t taste the difference. But I’d never mess with the mozzarella. Not everyone likes eggplant. Shocking! But you could slice portobello mushrooms as well as butternut squash. 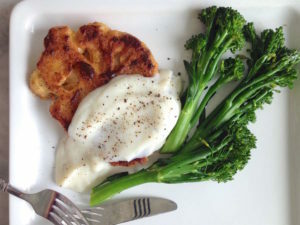 If you want to go more paleo, you can make a ricotta out of cauliflower. It sounds crazy but the recipe makes it sound delicious. Those are all gluten-free recipes. You can layer the lasagna and use different spices and sauces. If you used lamb and a white bechamel sauce, you’d make something like mousakas. You could use a white cheese sauce and layer in some asparagus as well. I hope you’re inspired to try something different.